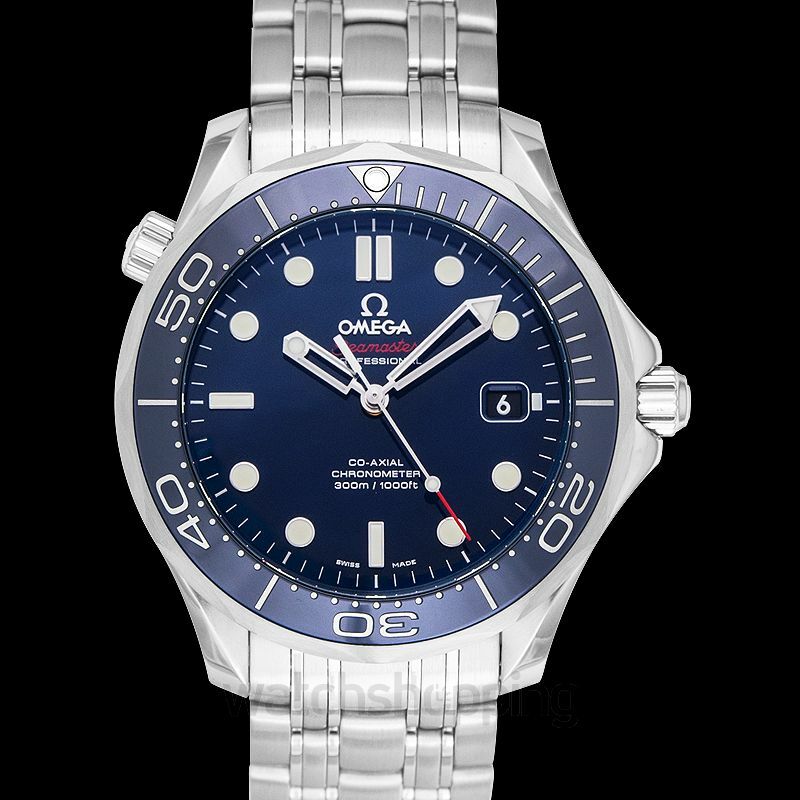 A very pleasant and sporty piece by Omega, this watch features a unidirectional rotating bezel made from blue ceramic. 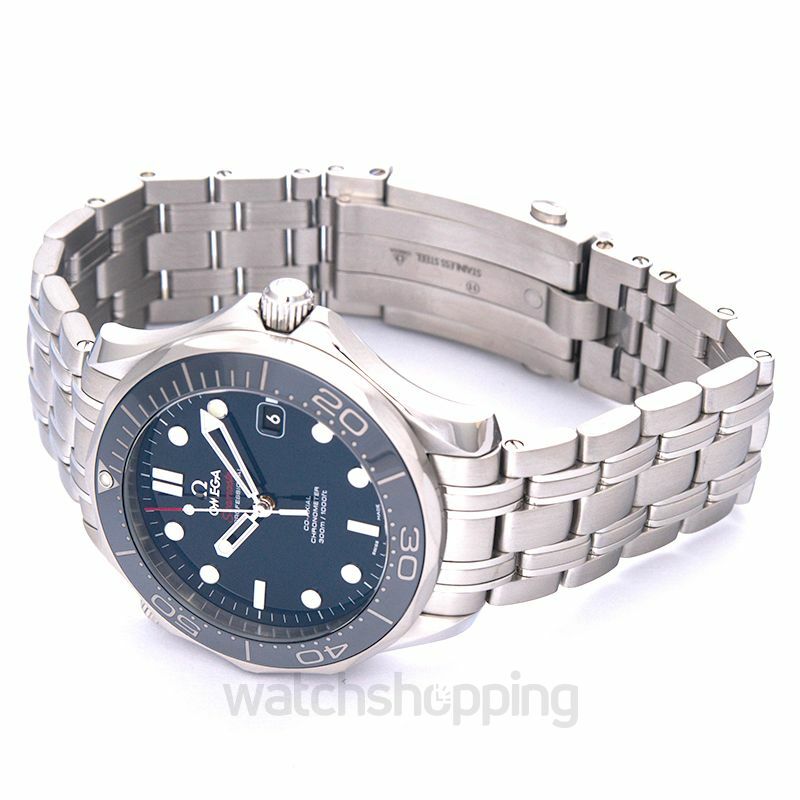 The bezel is mounted on a stainless steel case that measures 41mm in diameter. 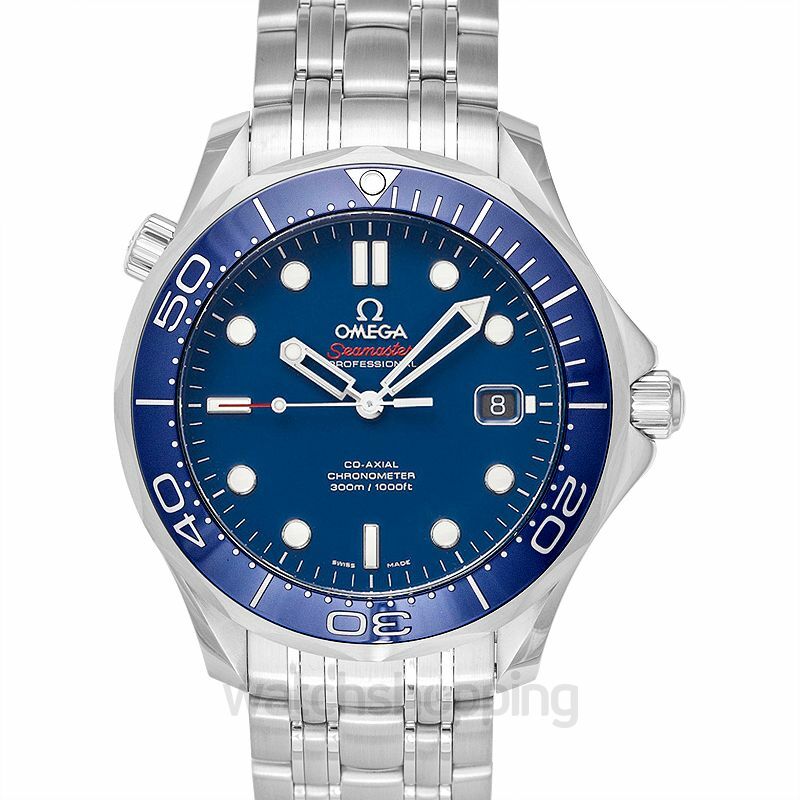 Set in the case is a gorgeous blue dial which is set with index markers and hands with a silver accent. Moreover, the bracelet of the watch matches the case and is also crafted from stainless steel.